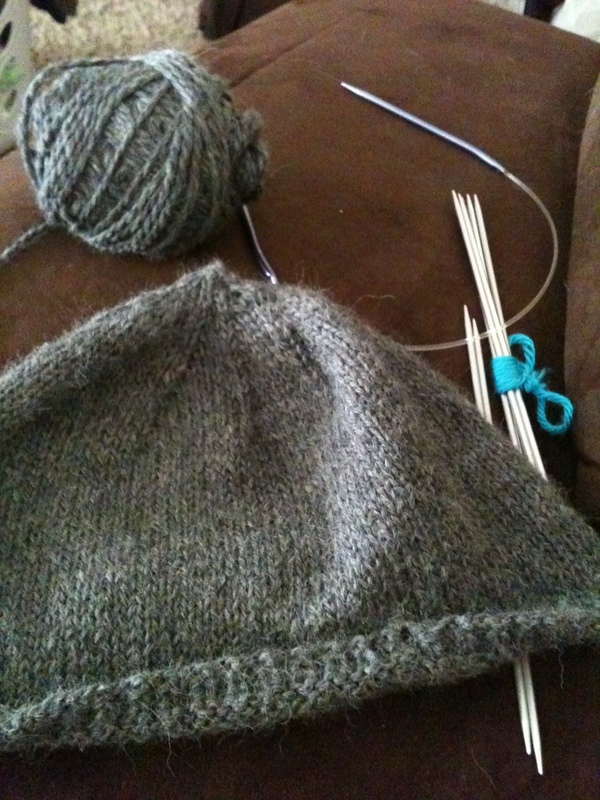 I decided rather than frogging the top of the hat I’d pick up stitches around the bottom. I’ve been attempting to pick up stitches ever since. I’m really hoping I won’t have to pick out my cast on, and frankly I’m not totally sure that would work anyway. Anyone have suggestions on adding an inch to a finished hat? This thing is crazy making.